Monitoring the progress of your manuscript has never been easier! 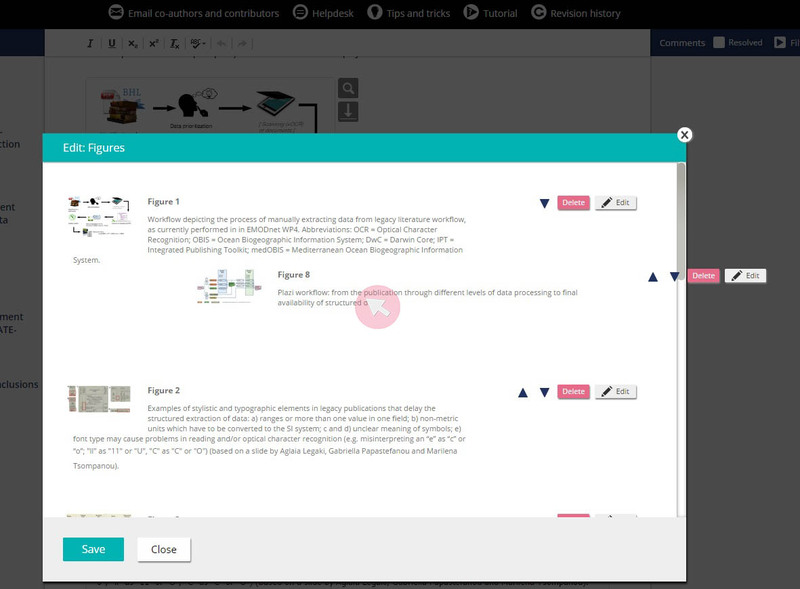 The eagerly anticipated Track changes feature is now available in ARPHA Writing Tool to further facilitate collaborative authoring in the five academic journals* which currently make use of the ARPHA-XML publishing workflow. Having tapped into ARPHA’s users constructive feedback, we have also updated our Revision History feature. Now, not only can authors access any past version, as created by their co-authors and collaborators, but they can also compare any two of these at the click of a button. To let co-authors and collaborators easily see any changes they have made, a user needs to simply switch on the Track changes mode. 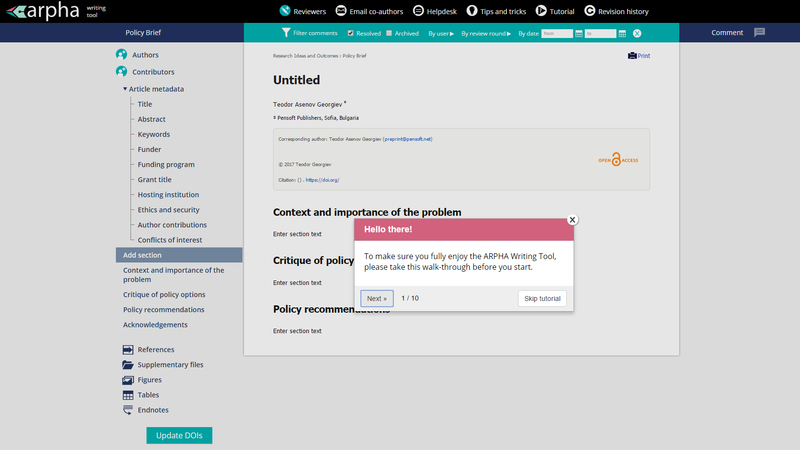 From now on, each individual author’s input will be highlighted to draw the attention of the next user. Logically, any newly inserted text will appear in green, while the deleted one will be coloured in red. 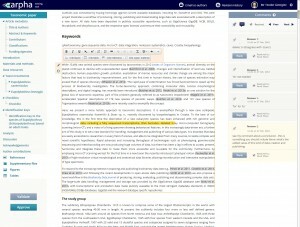 A hover over a highlighted text will show the user who has made the edit. To make overseeing even a single edit impossible, ARPHA Writing Tool has made it mandatory for a user to resolve all suggested changes before either submitting the manuscript or switching off the Track changes mode. Not overlooking any new input, regardless of the length and complexity of a manuscript, is made even easier thanks to the Prev and Next buttons allowing a user to go through the changes one by one. But what shall you do if you or your co-authors/collaborators happen to forget to switch on the Track changes mode? 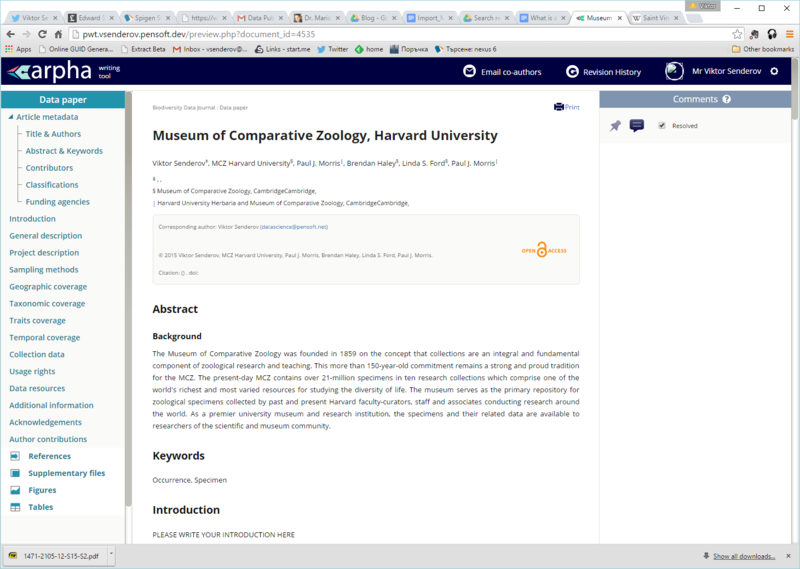 Our latest update to the Revision history button lets users compare any two past manuscript versions, so that they can see at a glance what has changed between any two set points in time. Just like before, clicking the Revision history button delivers a list of all manuscript versions along with the users who have created them in a chronological order. Now, however, a tick box next to each of these allows the user to select any two versions and see all edits that have taken place in between. Again, newly added text shows in green, while the deleted text is crossed over and appears in red. Step-by-step instructions on both how to track changes and compare past versions are available in the Tips and Tricks guidelines accessible anytime in the header of the writing tool. *The open access scholarly journals Biodiversity Data Journal, Research Ideas and Outcomes(RIO Journal), One Ecosystem, BioDiscovery and Biodiversity Information Science and Standards (BISS) are all making use of the technologically advanced collaboration-centred ARPHA-XML workflow, which features the signature ARPHA Writing Tool. Only a couple of months ago, we announced a whole set of exciting features newly applied to ARPHA Writing Tool, based on the feedback we received from our users. Now, we are delighted to announce that we are back with a fresh batch of updates. We have become faster. 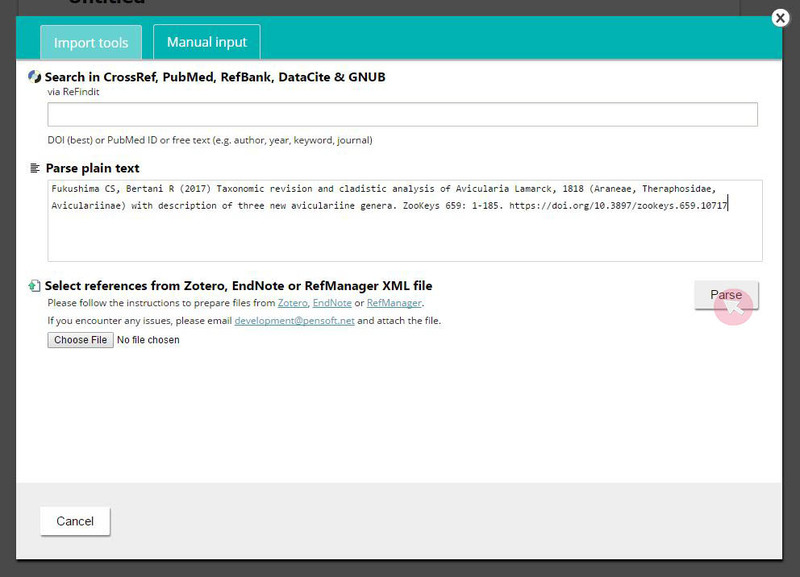 ARPHA has been optimised, so that it is even easier to prepare your manuscript. Enjoy your references and whole datasets being delivered straight into your draft in the blink of an eye! Speaking of references, we have updated our Reference Parser. Simply copy-paste a reference in the box and click Parse – ARPHA Writing Tool will have it ready to go on your list momentarily! Yet, there’s even more to the reference-related updates! To double-check an in-text citation in your manuscript, all you need to do is hover over it to see the full-text reference it is linked to. Our new toolbar and re-arranged functionalities make up for the better intuitivity of the ARPHA Writing Tool that welcomes you the moment you open a new manuscript. Hover over the new toolbar and you will notice another new perk we have added for your convenience. Keyboard shortcuts are now implemented to the ARPHA Writing Tool to let you add smart objects as you type. Get a stronger grip on your figures! Two new buttons let you re-order your figures either by number, or by order of appearance. Alternatively, enter editing mode and simply drag and drop any figure wherever you wish. We thank you for your continuous feedback which helps us focus on tailoring the ARPHA Writing Tool according to the needs and taste of our clients. 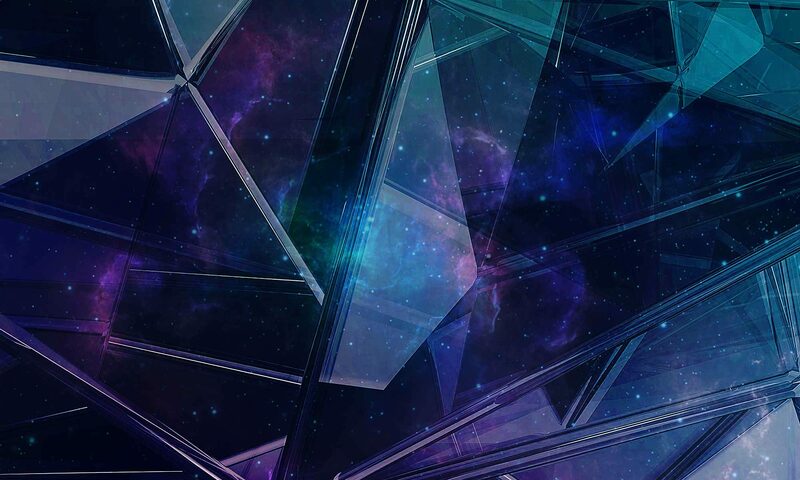 We are already working hard on the next updates, so keep an eye on us! In the meantime, please feel welcome to test our new features and let us know what you think. We will be happy to address any comments and requests on info@arphahub.com. We ask. We listen. We innovate! During the last months of 2016, we asked our users about their experience with the ARPHA Platform and its inbuilt ARPHA Writing Tool (AWT) that backends journals like Research Ideas and Outcomes (RIO Journal), Biodiversity Data Journal, One Ecosystem, and others. We got some fantastic feedback and have since been busy implementing some of the suggested features, while also improving existing ones. In the very beginning of the new 2017, we are now happy to introduce some major improvements and additions to our writing tool. 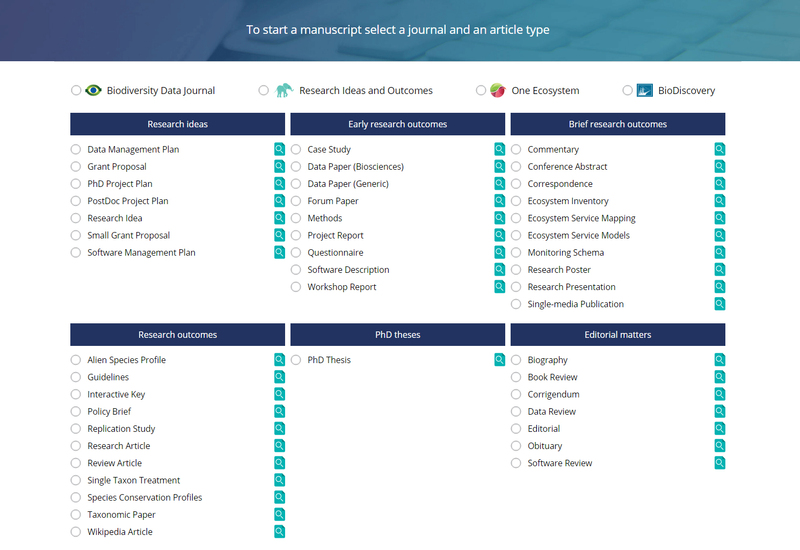 First of all, we’ve updated our article templates, allowing users to modify them or to create a manuscript structure that best fits your needs. Most article types now also include blank document templates to be used at authors convenience. In the existing pre-defined templates, one can edit/change the majority of the (sub-)section titles or simply erase these from the manuscript. 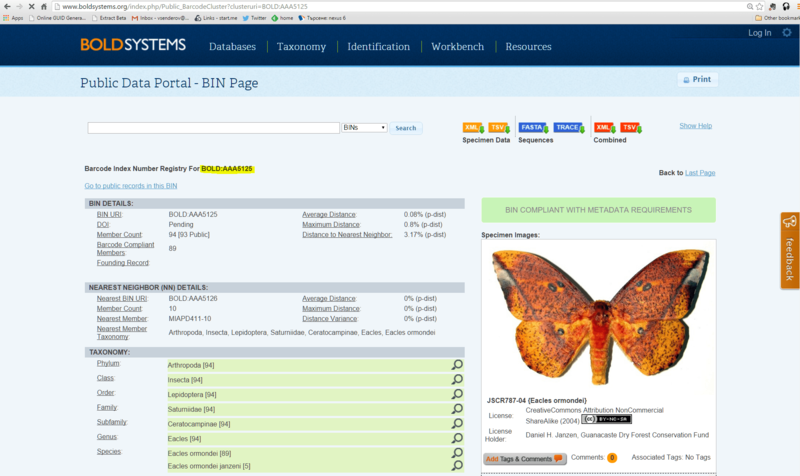 Meanwhile, some new templates have also been developed to broaden the article types that users can pick from, these including R Package, Monitoring Schema, Ecosystem Inventory, Ecosystem Service Models, Ecosystem Service Mapping, Species Conservation Profile, Alien Species Profile, and others. To improve user experience, commenting has now become even more intuitive by simplifying the comments interface and introducing a commenting button that floats next to the selected-for-revision text. The comments can now be filtered by user, date, and status; anchoring comments to commented texts is improved to a much more intuitive and user-friendly interface than before. 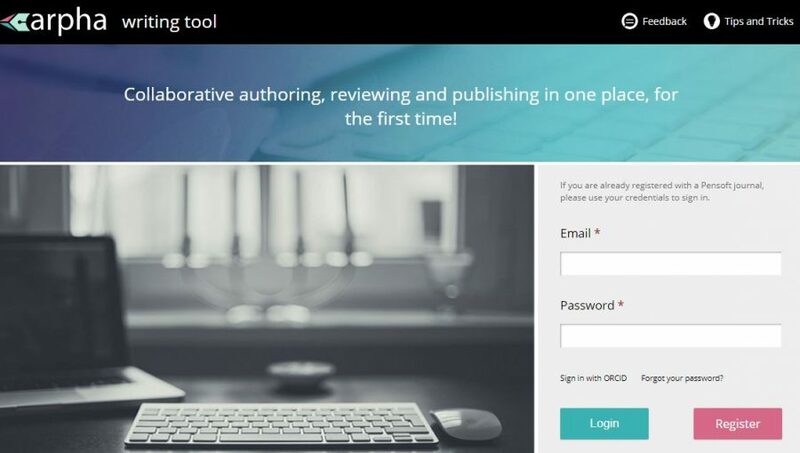 Last but certainly not least, a dedicated and highly concise Step-By-Step Site Tour will now also guide users through the main features of the writing tool the first time a manuscript is opened, both as author or reviewer. Improving import of references and creating reference lists. Extending table import and editing tool with new functionalities. 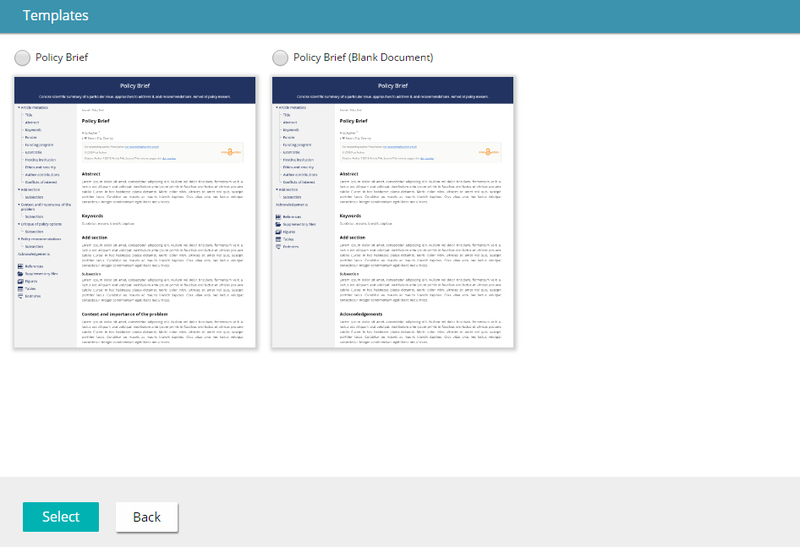 Restoring in a new improved format of the Track/Change mode for reviewers and coauthors. Simultaneous collaborative writing and editing. 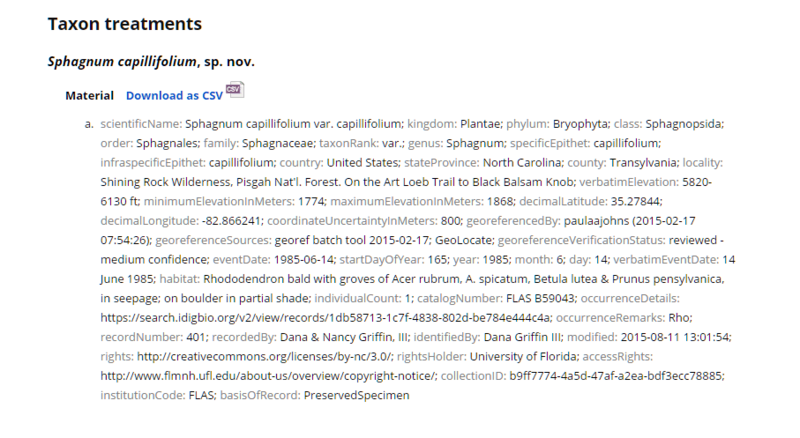 Repositories and data indexing platforms, such as GBIF, BOLD systems, or iDigBio hold documented specimen or occurrence records along with their record ID’s. 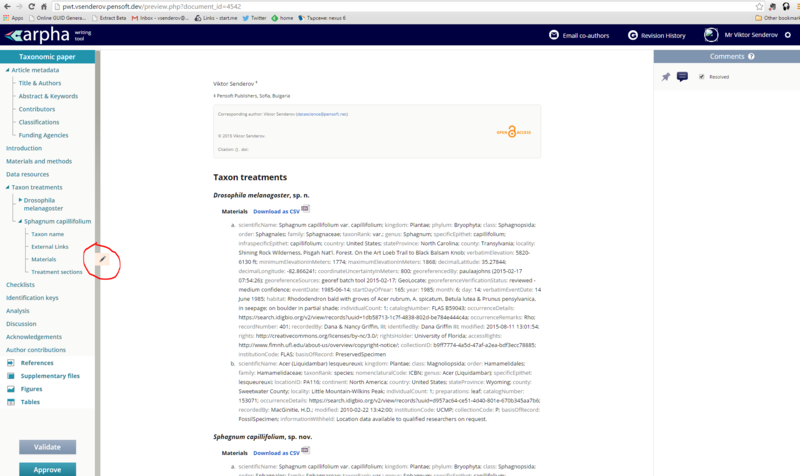 In order to streamline the authoring process, save taxonomists’ time, and provide a workflow for peer-review and quality checks of raw occurrence data, the ARPHA team has introduced an innovative feature that makes it possible to easily import specimen occurrence records into a taxonomic manuscript (see Fig. 1). For the remainder of this post we will refer to specimen data as occurrence records, since an occurrence can be both an observation in the wild, or a museum specimen. Fig. 1: Workflow for directly importing occurrence records into a taxonomic manuscript. Until now, when users of the ARPHA writing tool wanted to include occurrence records as materials in a manuscript, they would have had to format the occurrences as an Excel sheet that is uploaded to the Biodiversity Data Journal, or enter the data manually. While the “upload from Excel” approach significantly simplifies the process of importing materials, it still requires a transposition step – the data which is stored in a database needs to be reformatted to the specific Excel format. 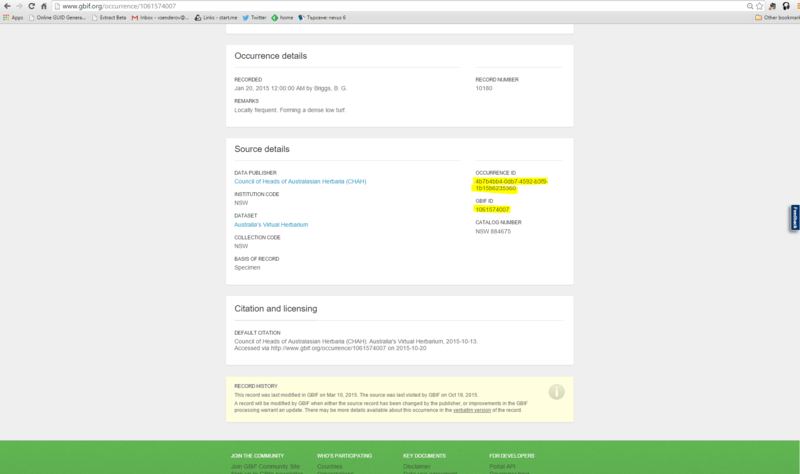 With the introduction of the new import feature, occurrence data that is stored at GBIF, BOLD systems, or iDigBio, can be directly inserted into the manuscript by simply entering a relevant record identifier. the author enters the ID(s) of the occurrence records in a form that is to be seen in the materials section of the species treatment, selects a particular database from a list, and then simply clicks ‘Add’ to import the occurrence directly into the manuscript. In the case of BOLD Systems, the author may also select a given Barcode Identification Number (BIN; for a treatment of BIN’s read below), which then pulls all occurrences in the corresponding BIN (see Fig. 5). We will illustrate this workflow by creating a fictitious treatment of the red moss, Sphagnum capillifolium, in a test manuscript. Let’s assume we have started a taxonomic manuscript in ARPHA and know that the occurrence records belonging to S. capillifolium can be found in iDigBio. What we need to do is to locate the ID of the occurrence record in the iDigBio webpage. In the case of iDigBio, the ARPHA system supports import via a Universally Unique Identifier (UUID). We have already created a treatment for S. capillifolium and clicked on the pencil to edit materials (Fig. 6). 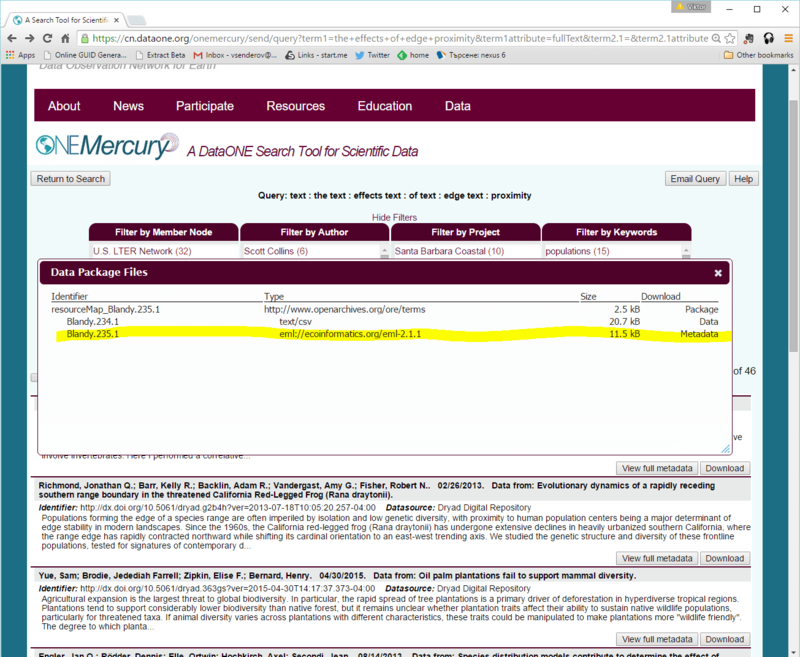 When we scroll all the way down in the pop-up window, we see the form which is displayed in the middle of Fig. 1.
insert a set of occurrence records from BOLD belonging to a BIN (barcode index number) (Fig. 5). In this example, select the fifth option (iDigBio) and type or paste the UUID b9ff7774-4a5d-47af-a2ea-bdf3ecc78885 and click Add. This will pull the occurrence record for S. capillifolium from iDigBio and insert it as a material in the current paper (Fig. 6). The same workflow applies also to the aforementioned GBIF and BOLD portals. Fig. 7: Materials after they have been imported. This workflow can be used for a number of purposes but one of its most exciting future applications is the rapid re-description of Linnaean species, or new morphological descriptions of species together with DNA barcode sequences (a barcode is a taxon-specific highly conserved gene that provides enough inter-species variation for statistical classification to take place) using the Barcode Identification Numbers (BIN’s) underlying an Operational Taxonomic Units (OTU). If a taxonomist is convinced that a species hypothesis corresponding to OTU defined algorithmically at BOLD systems clearly presents a new species, then he/she can import all specimen records associated with that OTU via inserting that OTU’s BIN ID in the respective fields. Having imported the specimen occurrence records, the author needs to define one specimen as holotype of the news species, other as paratypes, and so on. 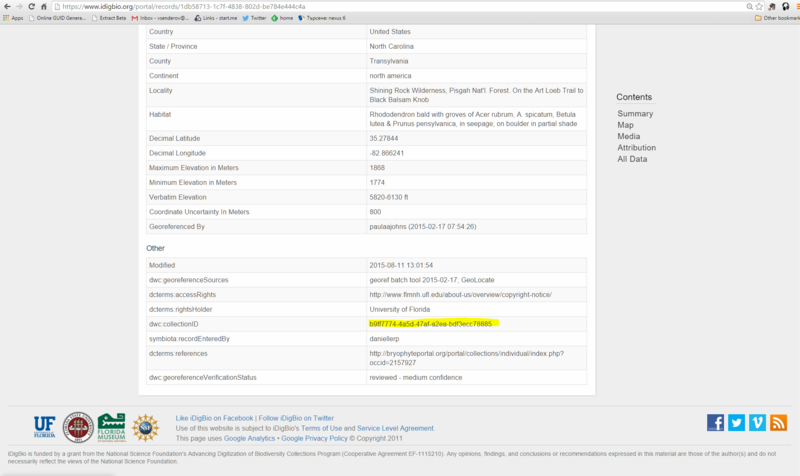 The author can also edit the records in the ARPHA tool, delete some, or add new ones, etc. Not having to retype or copy/paste species occurrence records, the authors save a lot of efforts. Moreover, they automatically import them in a structured Darwin Core format, which can easily be downloaded from the article text into structured data by anyone who needs the data for reuse. 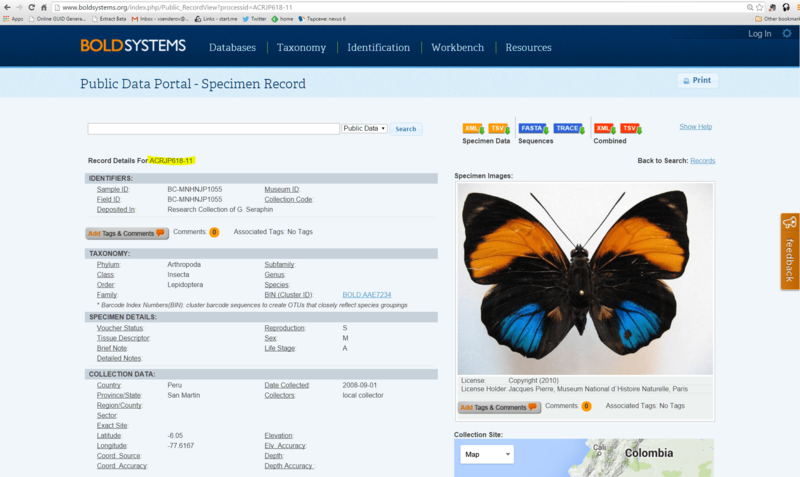 Another important aspect of the workflow is that it will serve as a platform for peer-review, publication and curation of raw data, that is of unpublished individual data records coming from collections or observations stored at GBIF, BOLD and iDigBio. Taxonomists are used to publish only records of specimens they or their co-authors have personally studied. In a sense, the workflow will serve as a “cleaning filter” for portions of data that are passed through the publishing process. Thereafter, the published records can be used to curate raw data at collections, e.g. put correct identifications, assign newly described species names to specimens belonging to the respective BIN and so on. The work has been partially supported by the EC-FP7 EU BON project (ENV 308454, Building the European Biodiversity Observation Network) and the ITN Horizon 2020 project BIG4(Biosystematics, informatics and genomics of the big 4 insect groups: training tomorrow’s researchers and entrepreneurs), under Marie Sklodovska-Curie grant agreement No. 542241. At the time of the writing of this post, the Biodiversity Information Standards conference, TDWG 2015, is on in Kenya and everyone around the world can listen to the live audio stream. Data sharing, data re-use, and data discovery are being brought up in almost every talk. We might have entered the age of big data twenty years ago, but it is now that scientists face the real challenge – storing and searching through the deluge of data to find what they need. As the rate at which we exponentially generate data exceeds the rate at which data storage technologies improve, the field of data management seems to be greatly challenged. Worse, this means the more new data is generated, the more of the older ones will be lost. In order to know what to keep and what to delete, we need to describe the data as much as possible, and judge the importance of datasets. This post is about a novel way to automatically generate scientific papers describing a dataset, which will be referred to as data papers. The common characters of the records, i.e. descriptions of the object of study, the measurement apparatus and the statistical summaries used to quantify the records, the personal notes of the researcher, and so on are called metadata. Major web portals such as DataONE or the Global Biodiversity Information Facility store metadata in conjunction with a given dataset as one or more text files, usually structured in special formats enabling the parsing of the metadata by algorithms. To make the metadata and the corresponding datasets discoverable and citable, the concept of the data paper was introduced in the early 2000’s by the Ecological Society of America. This concept was brought to the attention of the biodiversity community by Chavan and Penev (2011) with the introduction of a new data paper concept, based on a metadata standard, such as the Ecological Metadata Language, and derived from metadata content stored at large data platforms, in this case the Global Biodiversity Information Facility (GBIF). You can read this article for an in-depth discussion of the topic. 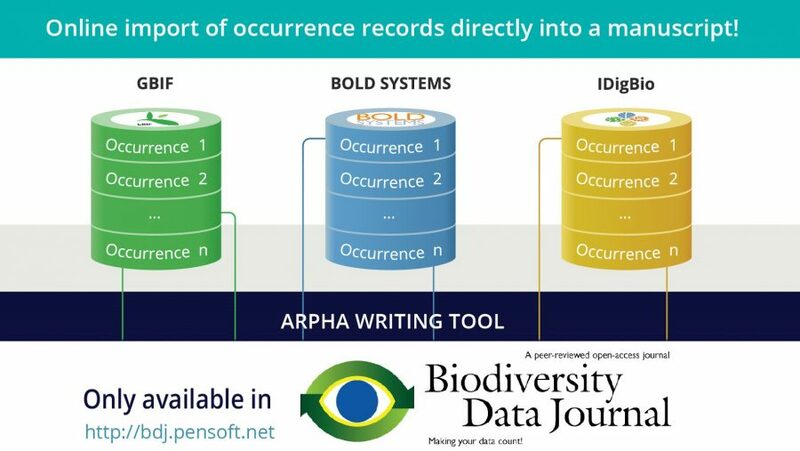 Pensoft’s Biodiversity Data Journal (BDJ) is to the best of our knowledge the first academic journal to have implemented a one-hundred-percent online authoring system for data papers, called ARPHA. Moreover, BDJ and the other Pensoft journals, such as ZooKeys, have already published more than seventy data papers. Therefore, in the remainder of this post we will explain how to use an automated approach to publish a data paper describing an online dataset in Biodiversity Data Journal. 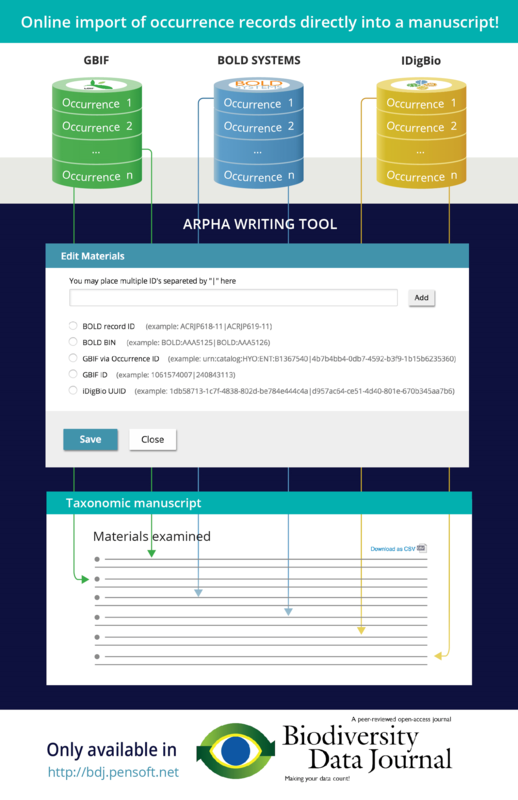 The ARPHA system will convert the metadata describing your dataset into a manuscript for you after reading in the metadata! We will illustrate the workflow on the previously mentioned DataONE and GBIF. The Data Observation Network for Earth (DataONE) is a distributed cyberinfrastructure funded by the U.S. National Science Foundation. It links together over twenty five nodes, primarily in the U.S., hosting biodiversity and biodiversity-related data, and provides an interface to search for data in all of them. Now, the authors can add some description, edit out errors, tell a story, cite someone – all of this without leaving ARPHA – i.e. do whatever it takes to produce a high-quality scholarly text. After they are done, they can submit their article for peer-review and it could be published in a matter of hours. Voila! Now, allow us to give a disclaimer here: the authors of this blog post have nothing to do with the two datasets. They have not contributed to any of them, nor do they know the authors. The datasets have been chosen more or less randomly since the authors wanted to demonstrate the functionality with a real-world example. You should only publish data papers if you know the authors or you are the author of the dataset itself. During the actual review process of the paper, the authors that have been included will get an email from the journal! Having said that, we want to leave you with some caveats and topics for further discussions. Till today, useful and descriptive metadata has not always been present. There are two challenges: metadata completeness and metadata standards. The invention of the EML standard was one of the first efforts to standardize how metadata should be stored in the field of ecology and biodiversity science. Currently, our import system supports the last two versions of the EML standard: 2.1.1 and 2.1.0, but we hope to expand this functionality. 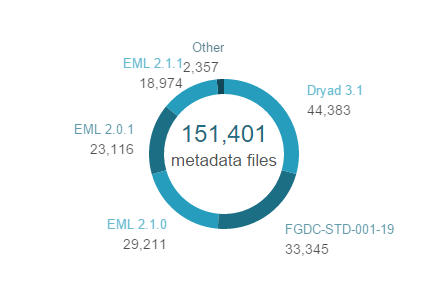 In an upcoming version of their search interface, DataONE will provide infographics on the prevalence of the metadata standards at their site (see figure), so there is still work to be done, but if there is a positive feedback from the community, we will definitely keep expanding this feature. Regarding metadata completeness, our hope is that by enabling scientists to create scholarly papers from their metadata with a single-step process, they will be incentivized to produce high-quality metadata. This project has received funding from the European Union’s FP7 project EU BON (Building the European Biodiversity Observation Network), grant agreement No 308454, and Horizon 2020 research and innovation project BIG4 (Biosystematics, informatics and genomics of the big 4 insect groups: training tomorrow’s researchers and entrepreneurs) under the Marie Sklodovska-Curie grant agreement No. 542241 for a PhD project titled Technological Implications of the Open Biodiversity Knowledge Management System. It’s been almost two full years since we first launched the Pensoft Writing Tool (PWT) as the first ever workflow that supports the full life cycle of a manuscript, from authoring, to peer-review, publishing and dissemination. Now it is time to move a step forward with an updated tool that incorporates all our accumulated experience and your invaluable feedback. PWT is now transforming into ARPHA Writing Tool (AWT) – a rebrand that means much more than a change of name and design. Those of you who have been using the PWT remember the two writing modes – Preview and Editing. Over the past two years, we’ve learned that this might sometimes be tricky. With the AWT, there will be no more flipping between modes. The tool now contains only one editing mode – this means rich editing functions and direct visualisation of your changes and comments straight into the the article preview. Besides, the AWT will take a step beyond biodiversity data publishing towards providing a large set of predefined, yet flexible article templates to allow the publication of most types of research outcomes. As the scope is broadening, we also strive to simplify and improve the user experience. The AWT is all about user-friendliness. With the new intuitive design and more comprehensible functions, the system is fast to navigate and get used to. While making every effort to improve user experience, we made sure functions are straightforward and easy to discover. The AWT makes collaborative work on a manuscript with co-authors or peers easier than ever. Mentors, pre-submission reviewers, linguistic or copy editors can now contribute to the manuscript side by side. The collaborative peer-review process provides easy communication thanks to a track-change function, comments and replies, as well as automated, but customisable email and social network notification tools. 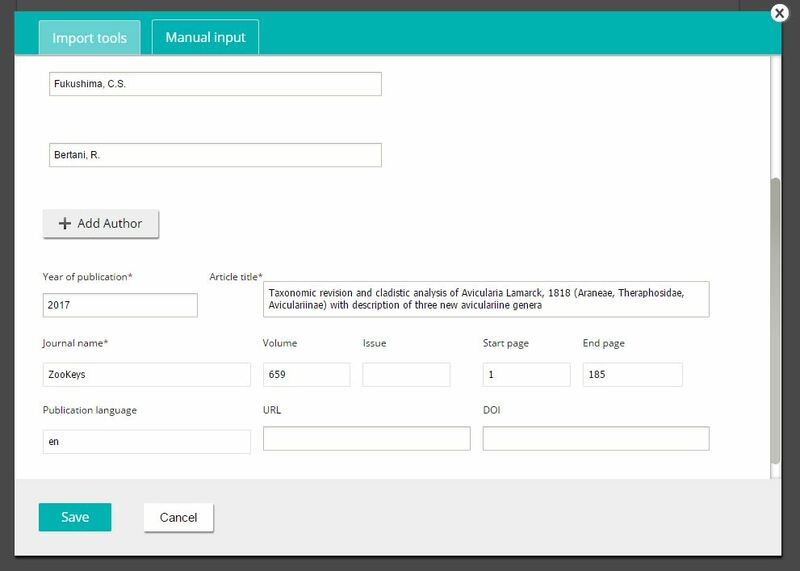 The tool also provides authors with a two-step technical validation – the manuscript is examined for consistency automatically by the system, followed by a second check from our staff ahead of publication. 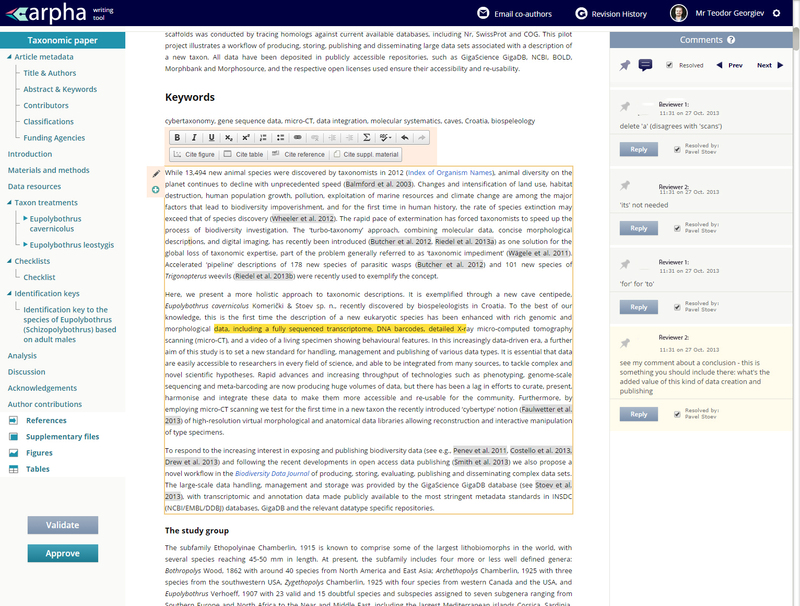 After an article is published, the AWT also offers easy republication of updated article versions via the authoring tool. Perhaps the most innovative feature of AWT, however, is the new functionality to invite reviewers still during the authoring process. This function is still globally unique as it allows the authors to discuss manuscripts with their peers before submission, and consequently to submit the reviews together with the manuscript. In case the editor approves the manuscript for publication based on the pre-submission review(s), the manuscript can be published just a few days after submission. 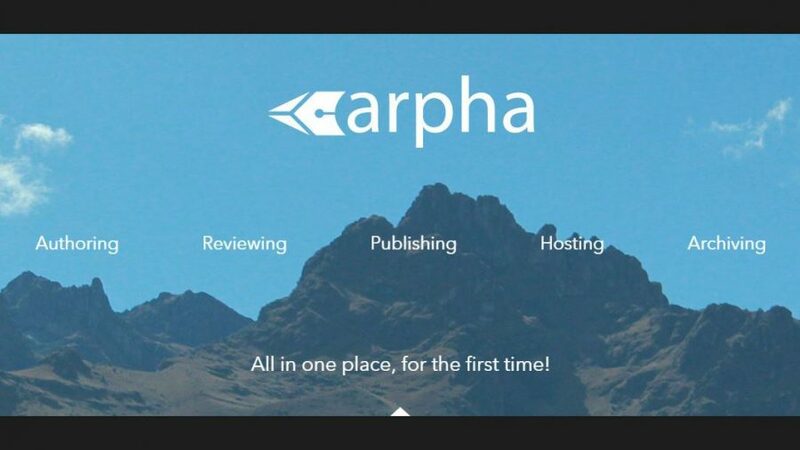 Latest news from ARPHA Platform, the first full-featured open access publishing platform for journals, books and data, with managed hosting services.